A list of my favorite sim games, in no particular order. 1. Civilization is an incredible series of sim games created by Sid Meier and his development studio, Firaxis. In this series, you choose to play as one of many real-world civilizations. Civilization II features female and male leaders to choose from, some historical (Jeanne d’Arc, or Joan of Arc) and others mythological (Amaterasu, a Japanese goddess). All civs have their own perks. Your job is to lead them from the Stone Age to the Space Age in a randomly generated world. Will your civ survive? Civ II received a PS1 port, but I played Civilization Revolution way more. This is a faster-paced Civ made for consoles, but it’s still ridiculously fun and addictive. While HM is probably Natsume’s most famous series, they have branched off into other sim games such as Rune Factory and Innocent Life: A Futuristic Harvest Moon. 3. Animal Crossing is one of my favorite Nintendo series. It’s a very unique game. In some ways, it’s a very casual experience. There’s no world to save or deadline to beat. You decide what you do at your own pace. I like to pimp out my house and try in vain to finish a complete furniture set to please the Happy Home Academy, who rates tour interior decorating somehow (their sneakiness is an in-joke) and gives you prizes if you score high enough. There are many cute, charming, and funny villagers to bond with as well. Just like the layout of your village, the villagers are randomly generated when you first move into town. From there, old villagers will move out after a while and new ones will come in. Sadly, there are only a few personality variations for possible villagers, but their appearances and decors vary. For example, there is a cat that looks like Cleopatra, and her whole house has an Egyptian theme. 4. 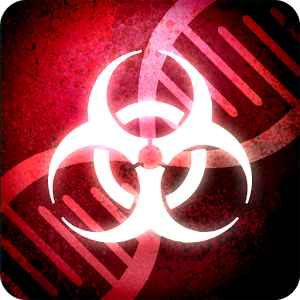 Pandemic/Plague Inc.: Pandemic is the Flash version of a plague sim that first appeared on sites such as Kongregate. Years later, I would discover a free-to-play mobile version of the game, now called Plague Inc. This game worries me a little with how much I enjoy it. To start, you choose a plague type (bacteria is the default, the rest have to be unlocked on higher difficulties or purchased outright) and a country to infect. Your goal is destroy the world’s population while developing your virus’ attributes, symptoms, and resistances to different climates and eventually cure research with DNA points. Random viral evolutions, world events, and countries catching on to your virus all affect your chances of success. The mobile version features 100 achievements. What are your favorite sim games? I love Harvest Moon! Have you played any of the Rune Factory games? I have Rune Factory: Frontier, but I haven’t played it very much. There’s a lot to do in that game. There is indeed. I’ve played Frontier and its sequel, Tides of Destiny. Frontier suffers from its own Runey system but I enjoyed pretty much everything else in it. Sunk in over 100-150 hours and I don’t think I could ever return to it again. The thing is, these games may look cutesy, but they take a lot of dedication to play.